Need a speaker for your book club? An author for a book signing or literary event? A fun workshop for your RV Rally that doesn’t put people to sleep? Contact me at debsanders01 @ gmail dot com. Here’s a short synopsis of presentations/workshops I’m currently offering. Speaking engagements can be structured to 15 minute, 30 minute or 1 hour presentations. This workshop was presented to two hundred Escapade57 attendees in Tucson, Arizona. Deb highlights some of her favorite haunts, back road adventures and places too weird to pass up. Uses a PowerPoint presentation and resource handouts. Can be tailored specifically to RVers or travel adventurers. This informative workshop will teach participants how to locate unusual destinations and activities along America’s back roads while taking proper precautions for safety. Whether you hike, off-road, two-wheel drive, or park and gawk, there’s myth, lore and untold mysteries waiting to be discovered by the next curious traveler. Learn to build a WordPress blog or website by using templates and pre-designed themes. This workshop teaches how to develop and edit your site, add photos, promote on social media, understand WordPress analytics, set up a domain name, and much more! In one day, you could have a stunning website to promote your next book, share family excursions or just blog about relevant issues. Learn to build a professional looking book cover by using free templates from programs like Canva, Spark, and Kindle’s Cover Creator. This workshop teaches the basics of cover design, layering images, and manipulating pre-designed templates to create a one-of-a-kind book cover. Learn to select appropriate fonts and graphics according to genre, fiction or non-fiction. Learn the difference between branding and platforms and how each is important to your success. This workshop teaches fiction and non-fiction authors how to develop a brand by writer’s name or selected book such as in a series. Once that’s done, it’s time to promote in the most effective way. Social media and target audience is discussed, as well as self-promotion at book signings, book fairs, relevant events, etc. 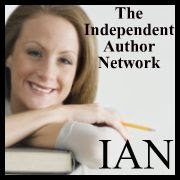 Suggested for Indie authors wishing to increase their public profile.